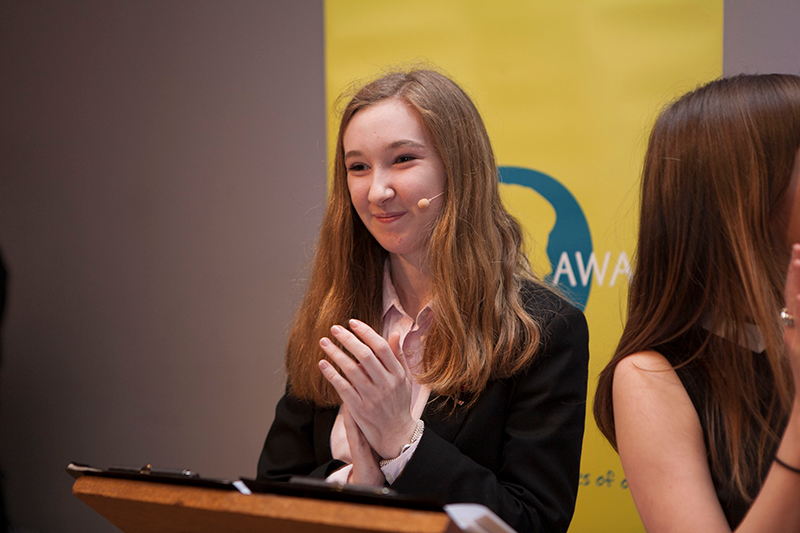 Diana Award Volunteer, Alice, shares her journey with The Diana Award and explains what it means to her. Princess Diana has been a role model to me ever since I can remember. Something about her perpetual compassionate nature struck a chord with me and she has always been someone I aspire to be more like. I’ve never heard of someone so perfectly demonstrate what it means to lead an agapeic loving life, as Diana did. I need not go on about what a remarkable woman Diana was as I am sure you already know. But I just want to highlight how particularly inspiring she is to a young person like me. Naturally, when I first heard of The Diana Award charity my heart felt happy in the knowledge that this charity was carrying on Diana’s Legacy in such an engaging and faultless way. The Diana Award gives young people who are going above and beyond to make our world a more loving and peaceful place, a platform to share their stories and be deservedly applauded for their relentless hard work. I feel grateful to The Diana Award for giving this recognition as otherwise I would have never been so completely inspired by the stories I have heard of Diana Award recipients. Alice hosting the Essex Award Ceremony in 2016. I had the opportunity to hear these stories when I, as Head Girl of New Hall School, assisted in hosting the Essex Awards ceremony in 2016, something that was one of my highlights of being Head Girl and a day that influenced how I performed my role completely. After that day I made it my personal mission to ensure Diana’s legacy permeated our school. I did this firstly, by going and visiting all the younger girls’ tutor groups and chatting to them about growing up, staying true to themselves and not letting the opinions of people who don’t know or care about them, affect how they value themselves. I also gave a speech the week after Prize Giving in our school assembly telling the younger students to not be upset if they were not awarded with a prize at prize giving, as I so often was when I was not recognised. I emphasised that everyone has so many beautiful qualities and talents, which cannot all be recognised at Prize Giving, for example, someone, may have a great sense of humour, or always radiate happiness, or perhaps they just give a really good hug. In my speech I focused on the fact that these qualities are all just as important, if not more, than what grade you get on a piece of paper titled ‘exam results’. Alice’s favourite Princess Diana quote. 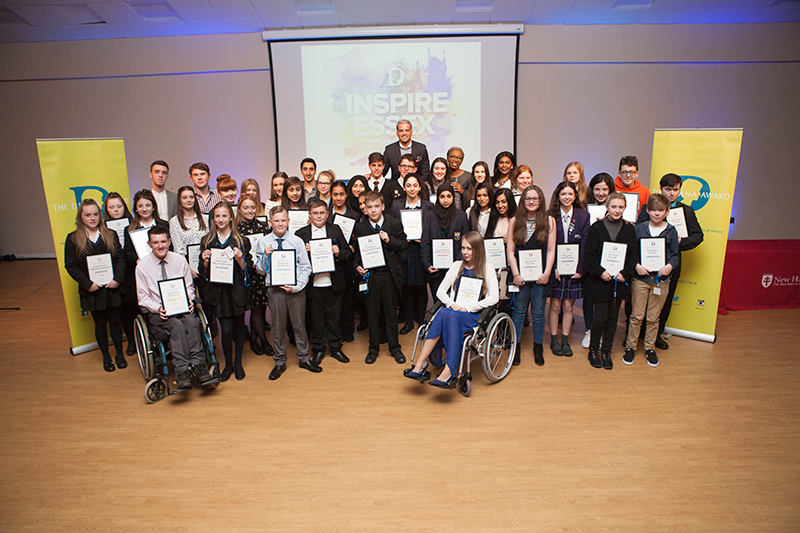 The new Diana Award Holders in Essex, 2016. When coming towards the end of my first year at the University of Exeter I decided I wanted to complete some work experience in the summer to gain more of an idea of what career I would like to eventually pursue and also gain experience in a working environment. On deciding this the very first place of where I’d loved to do work experience was The Diana Award. To have the opportunity to see the behind the scenes tasks all the people who work for this incredible charity do was so enticing to me. So I got in contact and before I knew it my work experience was finalised and I couldn’t have been more excited. Well, having now completed that week of work experience, it completely exceeded my expectations. From the moment I set foot in the office to the Friday afternoon when I had to leave, but really didn’t want to, I had the most wonderful time. There was an extremely unique aura to the whole office of positivity and encouragement, which I think must be exceptionally rare to find in an office in London in the middle of June when everyone is dying of heat! I will never forget the way everyone at the office made me feel, welcoming me in as if I had been their colleague for years and always ready to offer words of reassurance. I especially loved how in their team meeting, postcards were given out with special ‘thank yous’ and ‘well dones’, I have never experienced this in any other work place and I thought it was such a beautiful way that Diana’s legacy of kindness was continued in this office. I can’t wait to visit The Diana Award again to be in such a upbeat office environment. Having been unsure for many years as to what career path I want to pursue, my week of work experience with The Diana Award has confirmed for me that communications and marketing is my passion; and if I could work with a charity and help make our world a better place whilst doing it, that would be the greatest career of them all.